The Trump Towers Delhi NCR | 3/4 Bedroom Luxury Residences‎ Trump towers gurgaon | trump tower m3m | ultra luxury flats gurgaon M3M india | golf course extension road projects Trump Towers | 3 & 4 BHK Luxurious Residency Trump Towers – The World's Most Recognized Address Trump Tower hits hurdle in Gurgaon | 3BHK Starting from Rs. 5.20 Cr‎ Launching Tower II | PLATINUM TOWERS Ultra Luxury 3 & 4 bedroom residences Prices Starting at ₹ 5.20 Crs* Pay ₹ 90 Lacs Now and 85% on possession** Trump Towers Gurgaon is all set to become the new name for your empire. Proudly introducing the latest project in their portfolio the world-renowned developer presents – Trump Towers, Delhi NCR. It is the first project of the Trump Organization in Millennium City and is set to be their largest in India. 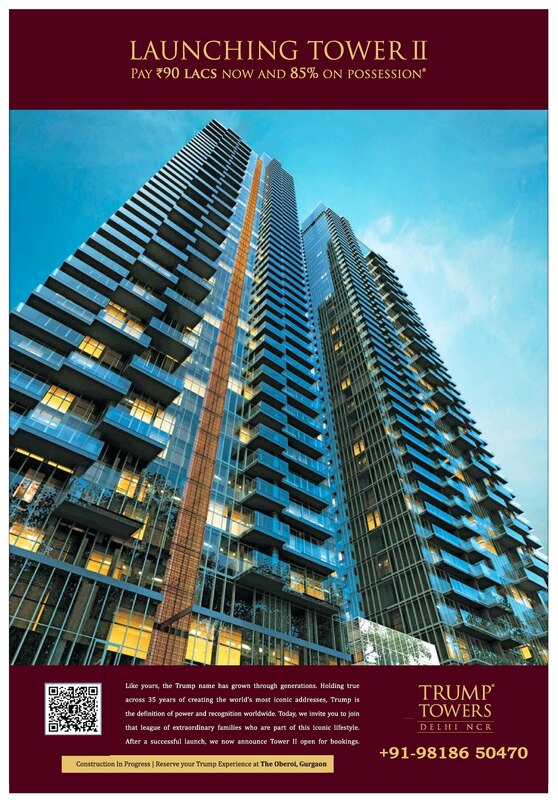 These ultra-luxury towers are an invitation to experience living at a height never before experienced in this city. The 3 and 4 bedroom double-height residences raised from the heart of Gurgaon’s evolving cityscape show you a new luxury residential icon. Trump towers offer a lifestyle of unmatched lavishness & for experiencing this magnificient out of luxury top notch class project please book an appointment at 7827005000.